Great Wall Hiking over 2 days along China's most famous landmark! 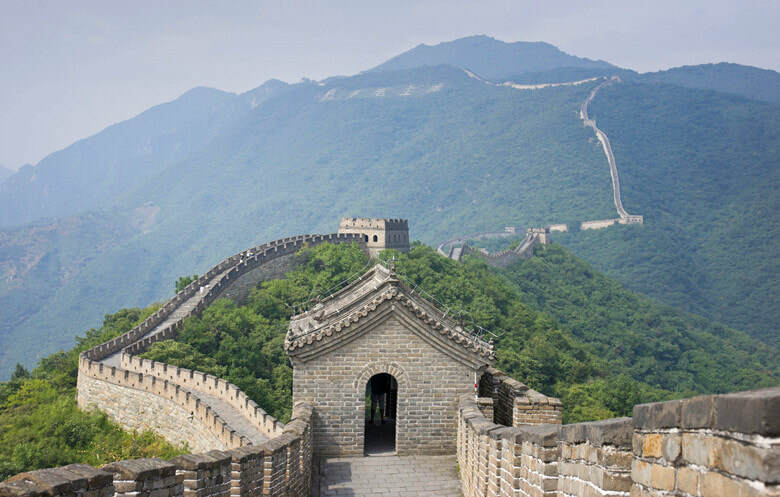 ​Join our team for this private hiking-focused 2 Day Great Wall of China Tour along China's famous landmark! 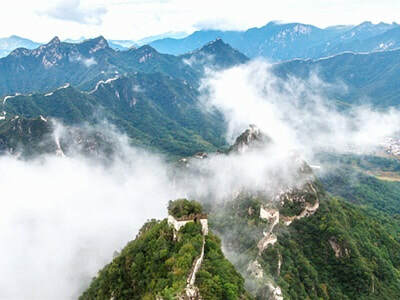 This Great Wall Hiking Tour is a perfect choice for visitors looking to get off-the-beaten track, enjoy extended time at the Great Wall and partake in hiking on both days of the tour. Please note, if you'd like to find out the latest pricing for our 2 Day Great Wall of China Tour, please contact us directly. We have proposed a hiking - themed tour and so we haven't included the chairlift/cable car within the pricing - this is an additional cost if required. Arrive into Beijing the day before your tour is scheduled to begin as the tour commences in the morning. Alternatively, we can also schedule the tour to being from Beijing Airport or Beijing Railway Station upon your arrival. The tour will commence with an 8:00 am pick-up from your Beijing Hotel. 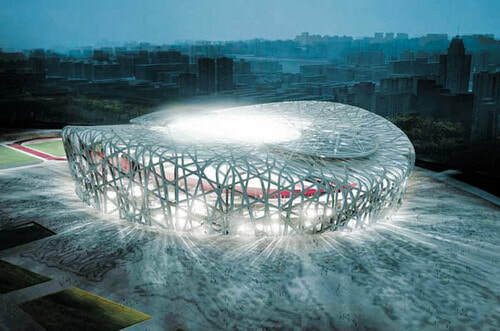 Thereafter, we'll travel to the Beijing Olympic Stadium and briefly visit whilst also purchasing lunch (takeaway) from Subway for a picnic lunch along the Great Wall later in the day. From the Olympic Stadium to the Jiankou Great Wall section it takes approximately 2.5 x hours to drive and you'll expect to arrive and commence the hike at 11:00 am. Upon departing from Jiankou, the first hour of hiking to reach the wall is completely uphill but once you reach the wall, you'll have the opportunity to hike among the different towers. This section of the Great Wall of China is usually very quiet so you'll be rewarded with spectacular views, unrivaled scenery and almost no other people within the vicinity! 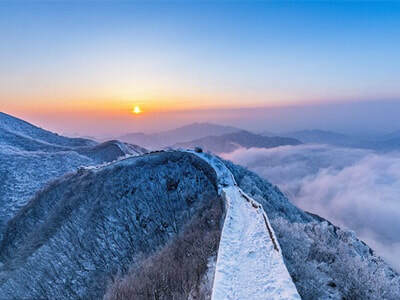 From the first point, you'll hike along the Great Wall with the entire day's hike lasting for approximately 5 x hours with 10 kilometers of hiking from Jiankou to Mutianyu. 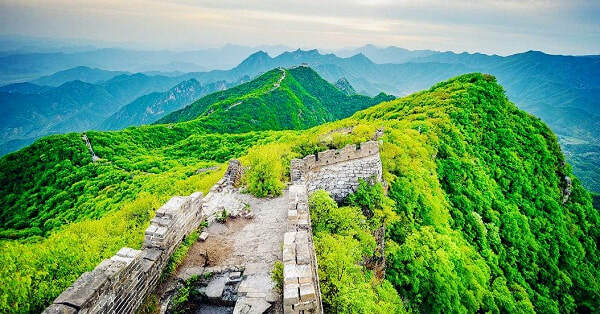 Aside from the original and restored sections of the Great Wall of China, visitors should also be prepared to hike among the bush-land, jungle and forest as this really is the Wild Great Wall section. Therefore, we'd visitors wear long pants for the hike to avoid any cuts or grazes from the off-track hiking. 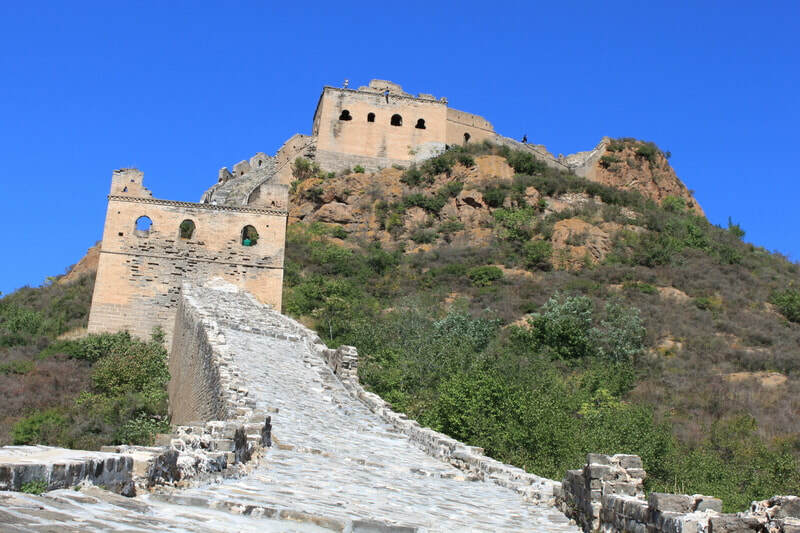 After arriving at Mutianyu Section, you'll notice a stark contrast with from the departure point with the original, old Great Wall, replaced by the restored section at Mutianyu. In the late afternoon, travel to Gubeikou Village where you'll enjoy a local meal for dinner and stay overnight in a farmer's guesthouse. Evening at leisure. This morning, the tour will start at 7:00 am when our guide and driver will meet you at your Gubeikou Village guesthouse. You'll travel to Jinshanling, enjoy a typical 'farmers breakfast' and commence the hike at 8:00 am. By starting early, it's the perfect time to capture the views and scenery on camera as there are usually no other tourists at the Wall. 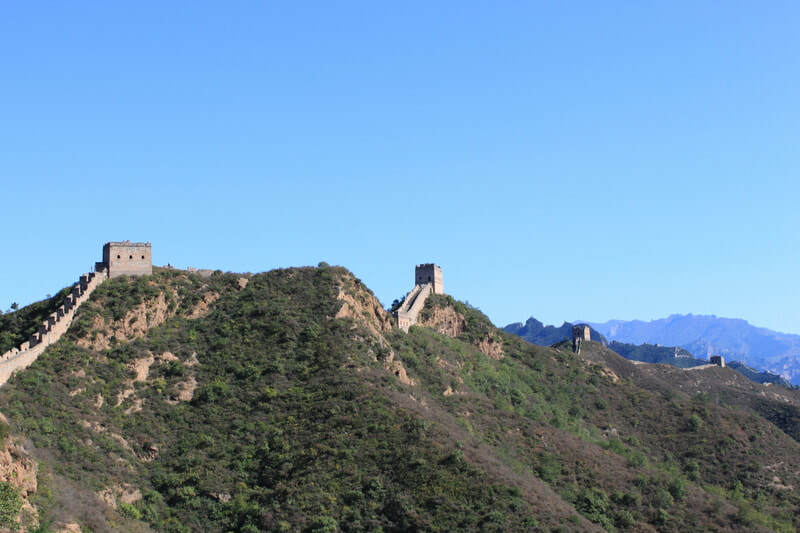 Today's hike lasts for approximately 3 x hours (5 kms) and is from the Jinshanling section to the Simatai West section of the Great Wall of China. This particular hike offers incredible scenery, fantastic hiking and there are a number of different watchtowers along the wall, all varying in size, shape and structure. ​You'll arrive into Simatai West in the early afternoon, descend from the Kylin Tower area and return to Beijing. In Beijing, a hot pot lunch awaits where you can sample spicy (or non-spicy!) food before being transferred back to your Beijing Hotel to conclude the two-day hiking tour. END OF TOUR.